Seedcamp Investment Management LLP is a limited liability partnership incorporated in England and Wales with registered number OC391626 as authorised and regulated by the Financial Conduct Authority with FCA number 628313 (“Seedcamp”). 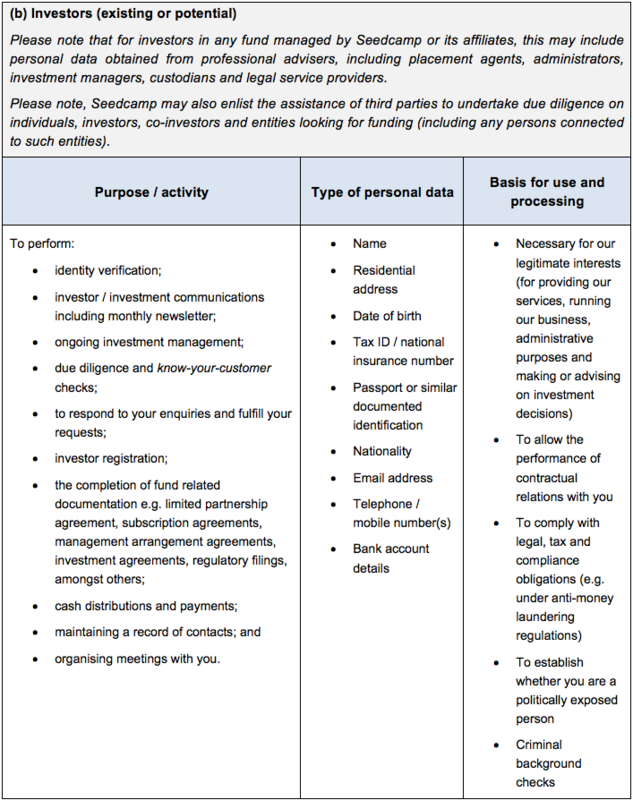 As the controller of your personal data, Seedcamp is therefore responsible for any collection, processing, use and disclosure that may be carried out in relation to your personal data. Seedcamp is an early stage investment firm. In order to provide our services, we may collect personal data through a number of sources. 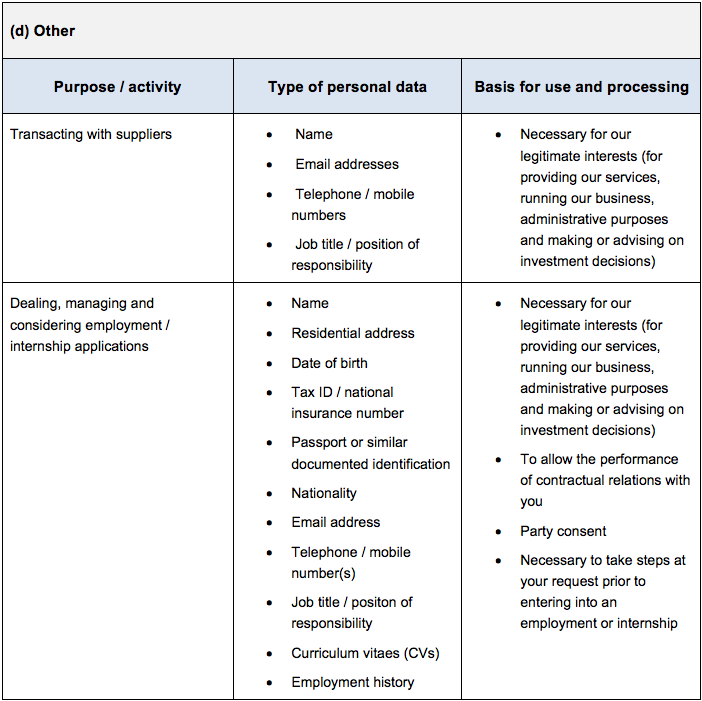 Please see the ‘How is your personal data collected’ section for more information. Where we need to collect personal data by law, or under the terms of a contract we have (or are negotiating) with you and you fail to provide that data when requested, we may not be able to perform the contract we have or are trying to enter into with you (for example, to provide you with our services). In this case, we may have to cancel all or part of the services you have with us, but we will notify you if this is the case at the time. 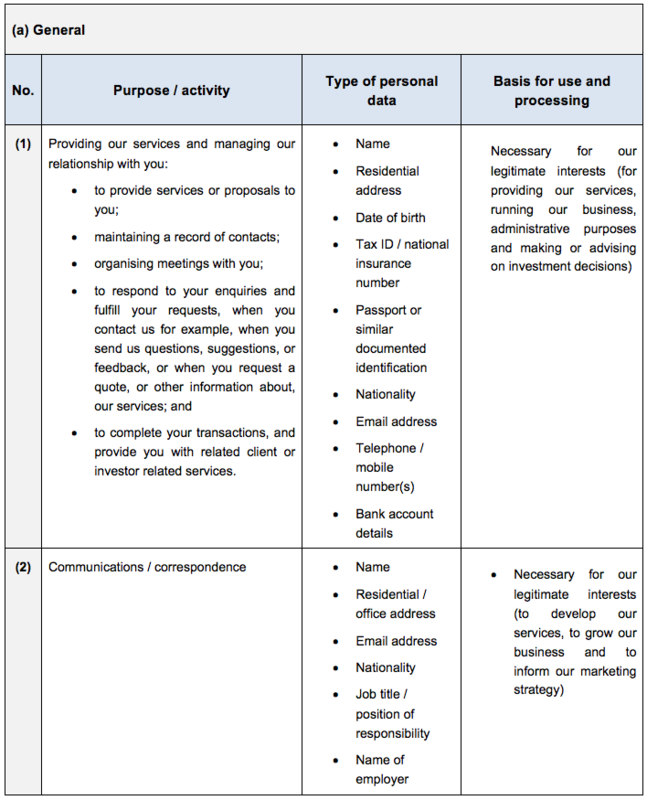 We have set out below a description of the ways we plan to use your personal data, and on which legal basis we do so. Where we rely on our legitimate interests as a legal basis for processing, we have identified the nature of those legitimate interests. use of our social media pages including Twitter (twitter.com/seedcamp), Facebook (www.facebook.com/seedcamp), LinkedIn (www.linkedin.com/company/seedcamp_2/), Angel List (www.angel.co/seedcamp/) and SoundCloud (www.soundcloud.com/seedcamp). Public sources. 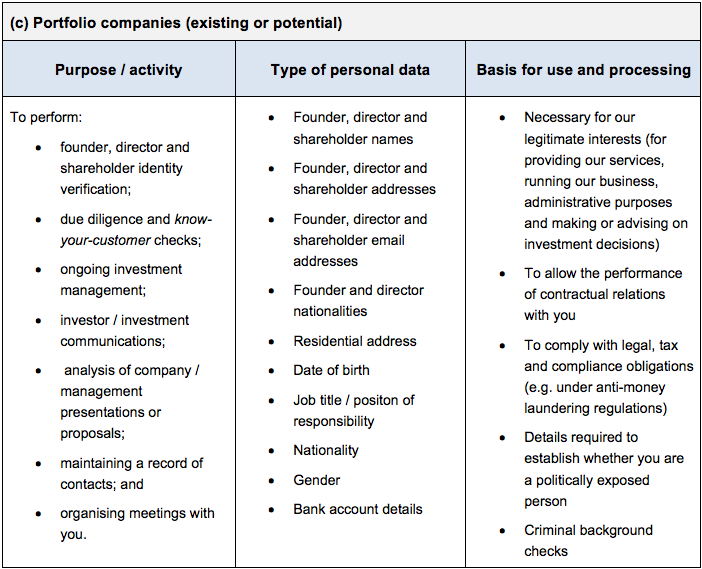 Identity data from publicly availably sources such as Companies House and the Electoral Register based inside the EU. We may disclose personal data to third party service providers (including IT system administrators, professional advisers, providers of finance, HM Revenue & Customs, regulators and other authorities) to facilitate services they provide to us. We require all third parties to respect the security of your personal data and to treat it in accordance with the law. In such circumstances, we do not allow our third-party service providers to use your personal data for their own purposes and only permit them to process your personal data for specified purposes and in accordance with our instructions. We have put in place procedures to deal with any suspected personal data breach and will notify you and any applicable regulator of a breach where we are legally required to do so. We cannot guarantee the security of any personal data that you disclose online, for example when it is sent by email. You accept the inherent security risks of providing information online over the internet and will not hold Seedcamp responsible for any breach of security unless this is due to Seedcamp’s negligence or willful default. We give you choices regarding our use and disclosure of your personal data for marketing purposes. You may opt-out from receiving electronic communications from us by following the ‘Unsubscribe’ link provided at the footer of any marketing materials that you may have received from Seedcamp by email or by contacting us using the details provided in the “Contact Details” section. You have the right to lodge a complaint at any time to the Information Commissioner’s Office (“ICO”), the UK supervisory authority for data protection issues (www.ico.org.uk). We would, however, appreciate the chance to deal with your concerns before you approach the ICO so we would encourage you to contact us in the first instance. PLEASE NOTE: Seedcamp uses privacy@seedcamp.com solely for privacy related matters. All unrelated matters sent to this email address (e.g. unsolicited requests for funding) will not be considered or responded to.